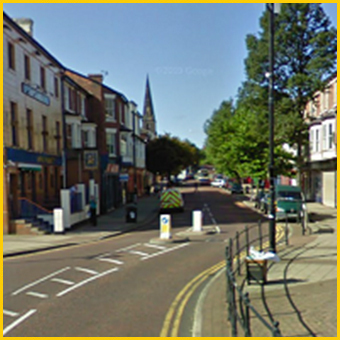 New Brighton is located on the north eastern tip of the Wirral Peninsula on the bay of Liverpool where the River Mersey meets the Irish Sea. New Brighton was born in 1826 and by the turn of the century was a bustling seaside resort with hotels, bathing pools, a pier, the promenade, a tower, a ballroom, as well as many other attractions and amenities. New Brighton is fondly remembered by people of all generations who visited the area either as a child or with their own children, many coming from other parts of the United Kingdom and further afield. The area now boasts a unique mix of old and new. 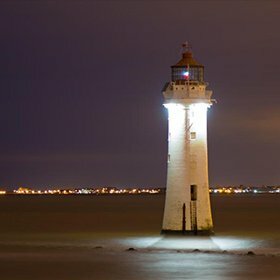 Its 19th century Grade II* listed former sea defence, Fort Perch Rock, and Perch Rock Lighthouse, together with a wide variety of other heritage and historical points of interest, is complemented by an £80million leisure and retail facility, Marine Point. Large grassed seafront areas, known locally as ‘the dips’, provide the perfect venue for large scale events. A short stroll inland sees a growing base of independent bars, cafes and restaurants on Victoria Road and Victoria Parade and the opportunity to purchase vintage, reclaimed and pre-loved finds on Seabank Road. One of New Brighton’s wonderful beaches is home to the internationally known community-built iconic driftwood boat, The Black Pearl, tended to with love and care by a band of merry 'pirates'. 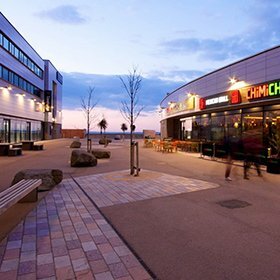 The area which also boasts a popular theatre, marine lake, beautiful parks, awarding winning businesses and unique fairy village is surrounded by miles of spectacular coastline with stunning views of Liverpool’s waterfront. Here are a selection of hot events coming up in new Brighton and some of our favourite attractions. Check out our Calendar for a full list of upcoming events and our News section for more information on recent events and gatherings. Find out what's going on in New Brighton. Music, Theatre and More. Find Out whats coming up at the Floral. Watch films in 3D and relax in their awesome comfort seats. 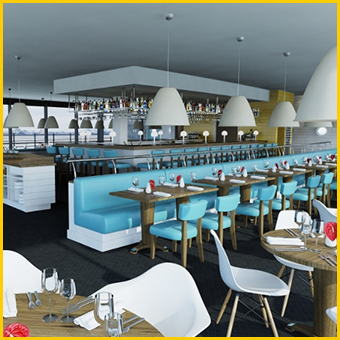 From Shopping, Beaches, Cinema, Theatre & Restaurants, Marine Point has it all. 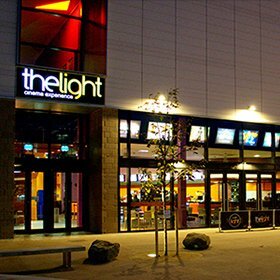 From Fort Perch Rock to the Floral Pavillion Theatre, there are loads of attractions in New Brighton. You can keep busy with various activities including sailing and bowling. Browse our Activities Directory to find out more. Shop 'til you drop in New Brightons many stores. We have a traditional Rock Shop on the front and boutiques tucked away in nearby streets you can check them out from the comfort of you chair by browsing our Shops and High Street Directory to find out more. New Brighton has some great places to eat or just chill with a cup of coffee. There are some fantastic new restuarants in the newly developed marina and plenty of places to stop off for a cuppa while browsing the surrounding areas. Browse our Eating And Drinking Directory for more information. Planning a longer stay in New Brighton? 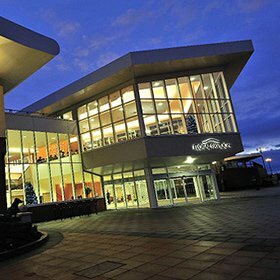 Or perhaps you are staying late to take in a show at the fabulous Floral Pavillion Theatre. 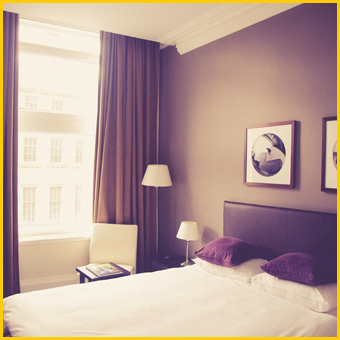 Check out our Where To Stay Directory for some fantastic places to spend the night. Start your November off with a ‘bang’ as fireworks extravaganza River of Light returns to the Wirral and Liverpool waterfront. Get your hats, scarves and gloves ready and join us as we celebrate everything that is big, bright and loud! We'll be lighting up the skies above Fort Perch Rock and the lighthouse in New Brighton during our dazzling firework show. After wowing the crowds last year, Titanium Fireworks are returning with another breath-taking visual and musical spectacle inspired by this year's theme 'The Elements'. The display is due to start at 6.30pm. There will be fantastic family entertainment from 5pm on both sides of the Mersey. 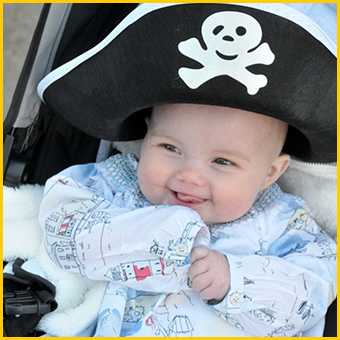 In New Brighton, there will be the appearance of ghostly pirates on the Black Pearl, an amazing drumming and dance performance, and the chance to meet incredible illuminated characters. For more information about River of Light, please visit the River of Light website (https://www.cultureliverpool.co.uk/river-of-light-2018/) and follow #RiverOfLight on social media. Get ready to walk in the footsteps of Giants! The full route has now been announced for Liverpool's Dream, the final instalment of the Giant Spectacular trilogy. Check out where the incredible Giants will be heading this time around from Thursday 4 – Sunday 7 October, including their unmissable visit to New Brighton on Friday 5 October. Visit www.giantspectacular.com for more information.